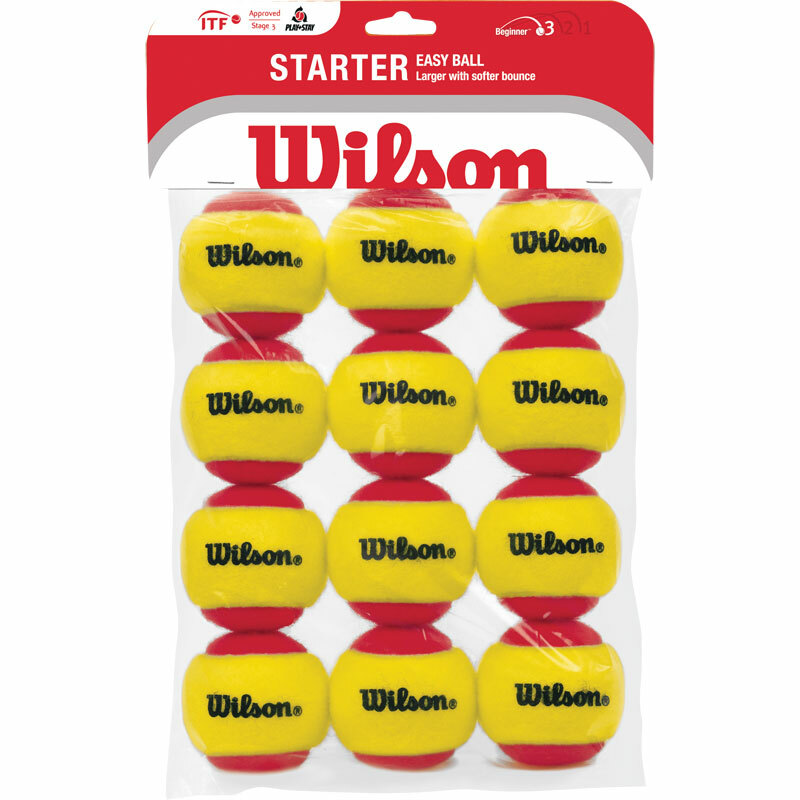 Wilson ® Starter Easy Red Tennis Balls are high quality balls which are great for easy learning and suitable for beginners. Newly developed 70mm felt covered ball. Yellow and red in colour. Fantastic product! Wish I'd known about them before. So much easier for beginners to learn tennis with these, rather than the yellow ones. Delivered very promptly. Would definitely purchase from Newitts again. Great balls for the beginner offering slow bounce. Compression seems to fade further after quite a bit of use but that is not an issue. 4 out of 5 Smashing balls. Without breaking windows these have a softer bounce and perfect for young players. The balls are good value. These are working well with my 6 year old. Bought these because the normal ones are too bouncy for him. Great improvement since we started using them. Very impressed with customer service after chasing up,as we hadn't received it & got postage refunded.will definitely use newitts again & will get the tennis balls from them. Brilliant for young starters (4/5 years ) as they have a slower bounce and are easier to hit . They are a bargain at the price ! You need to get at least a dozen so you don't have to keep stopping to collect up balls .